About Your Job: As a customer service manager you will be responsible for all aspects of the Contact Centre operations. 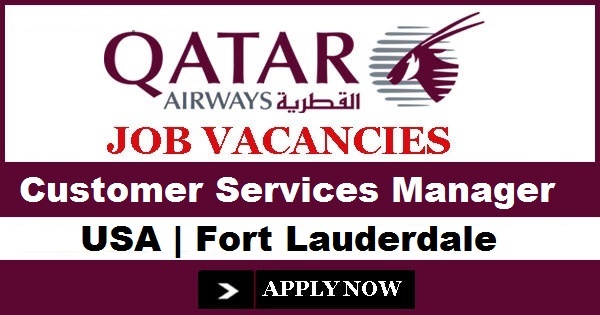 You will manage a group of Agents, Leads & Team leaders providing excellent customer experience to Qatar Airways passengers. You will develop manage, coordinate and implement policies and procedures through close monitoring the performance and sales results in order to establish the unit as a center of excellence, to enhance services and to generate income. Responsible for managing service level agreements of all customer service aspects of the Contact Centre. Responsible for achieving all KPIs as outlined in the Contact Centre KPIs scorecard. Regularly interact with various stations to understand requirements and communicate feedback and solutions. Planning and executing debriefing sessions with all agents. Ensure call quality and high level of customer service. Act as a focal point for customer care department to ensure through investigations of customer complaints. Highlighting performance strengths of the contact centre manager by preparing and analyzing performance reports to derive corrective measures. Ensure first call resolution, zero errors and operational excellence. Establish the department and team objectives. Oversee and supervise employees, direct daily activities and maintain a high standard of service delivery. Motivate team members, guide and monitor their performance and suggest and implement corrective actions. Provide operations team with inputs on leave planning and roster preferences to enable operations team to prepare rosters. Contribute in developing and formulating the department strategy with contact centre managers to drive business. To be successful in this role, you will need a relevant bachelors degree combined with a minimum of five years job-related experience specifically within a Contact Centre management team. You will have a strong customer service ethos and be effective in communicating at all levels of staff and the ability to effectively manage a team. Strong management and leadership skills are a must. English language fluency (written and oral) is essential.